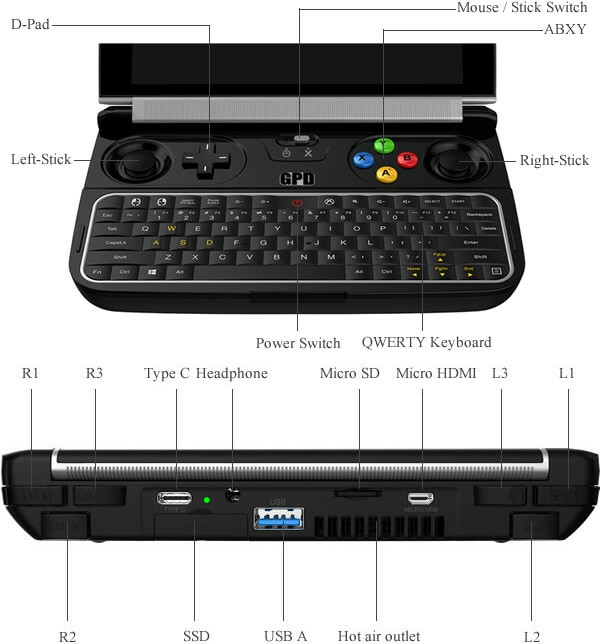 GPD Win was a Windows 10 portable game console powered by an Intel Cherry Trail processor launched in Indiegogo in early 2016, that managed to raise over $700,000 from nearly 2,300 backers. 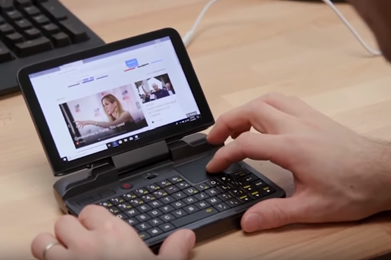 The company has been teasing an update for a while now, powered by an Intel Core m3-7Y30 processor with 8GB RAM, a 128GB M.2 SSD, and has just launched it on Indiegogo where it has raised close to $600,000 from almost 1,000 backers in the first few hours. The console will ships with a power adapter, a warranty card, and specification sheet. 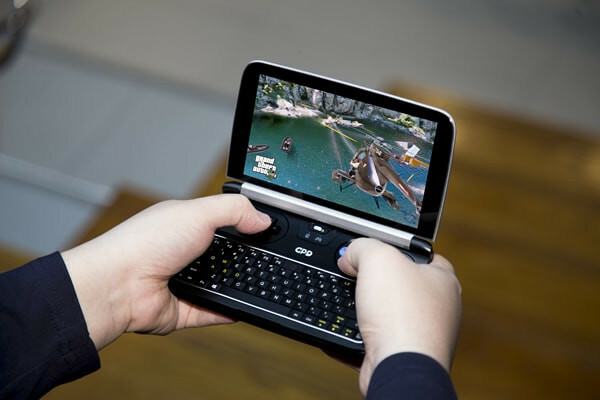 GPD WIN 2 runs Windows 10 Home 64-bit and is said to support AAA games including GTA5, Heroes of the Storm, World of Warcraft, etc… as long as you run them at low quality settings. 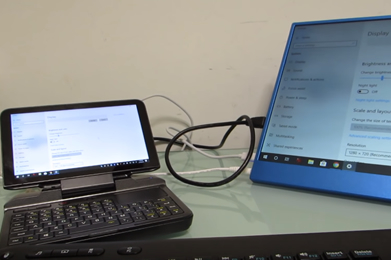 Nevertheless, the new GPD Win 2 is a big improvement of GPD Win as framerate often doubles, or even triples in many games. 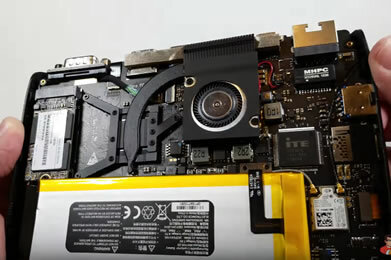 The company has already sent out beta units, and we already have early reviews such as the one uploaded by The Phawx which discusses performance, thermal design, video output, Linux support, replacing the battery, and so on. Overall a rather positive review. You’ll also find games demo on his channel, as well as Mobimaniak3000 channel. Intel Core m3 processors are not exactly know for their cheap, but the doubling/tripling of performance, also comes with a doubling of the price, with GPD Win 2 game console going for $599 initially for the first 1,000 units. But that’s now gone and price is now $649. Shipping is planned for May 2018 with free worldwide delivery.